The sea turtle monitoring component of Ridge to Reef has quickly become one of the most clearly impactful program activities…it’s also the most emotional. First, some context on the incredible journey sea turtles go through to make it into the world. When everything goes according to plan, females lay their nests of more than 100 eggs on the same beach where they hatched years before. The nest incubates for 90 days underground, until the newly hatched eggs scurry out to the ocean, which they identify by light reflecting from the moon. It’s a plan that goes wrong more than succeeds, though. Only one in 1,000 eggs laid will ever make it to adulthood. If the beach where the mother was born has eroded, become too polluted, or suffered some other disturbance—a resort opening or major hurricane, perhaps—then the mother may never bury her eggs at all. 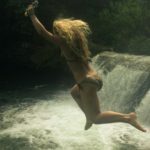 She’ll only come up on shore a few times before she abandons the effort. 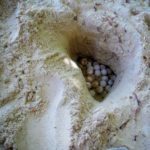 If she does manage to bury the nest, the eggs become immediate prey to all kinds of predators and other dangers—dogs and other wild animals, beach erosion, humans, some of whom view the eggs as a delicacy. For the eggs that manage to survive their 90 day waiting period, the run down to the beach is equally treacherous, as hermit crabs and other sandy predators are also keen to feast on turtle meat. And now that many of these beaches are tourist destinations, there are plenty of competing bright lights to confuse the navigational glow of the moon bouncing off the ocean. It’s hard to grow into an adult turtle! 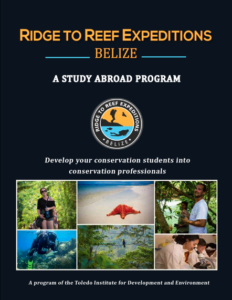 That’s why our Ridge to Reef expedition team has been doing beachside nest patrols and erosion monitoring as a piece of our work here in Toledo, Belize. Early on, though, we found that turtle nest monitoring isn’t all white, sandy beaches and precious eggs to protect. The first three trips we made out to local patrol sites yielded probably seven or eight turtle nests—but they were all empty, surrounded by crumpled white egg shell remains. The nests all looked like ones that had been destroyed, not hatched. Our community researchers, who have more knowledge on the subject than we do, attributed the damage to dogs or humans most likely. On our fourth nest monitoring trip, however, we found a nest poking out from right under the sand! Usually turtles bury 2 to 3 feet underground, so we knew something strange was going on. Our community researcher turned Ridge to Reef staff member, Willie, explained that the beach was undergoing a rapid erosion cycle. Each year around this time the entire beach shifts, so what had been a full, sandy beach when the mother laid her eggs was now almost completely gone. We’re lucky to have found the nest when we did—left alone it would have been seriously at risk of being swept away or discovered and eaten. So we dug up the nest egg by egg, until we had 181 in two pots we’d scoured from our boat. We did this carefully, since the direction and relative placement of each egg plays an important role in its development. 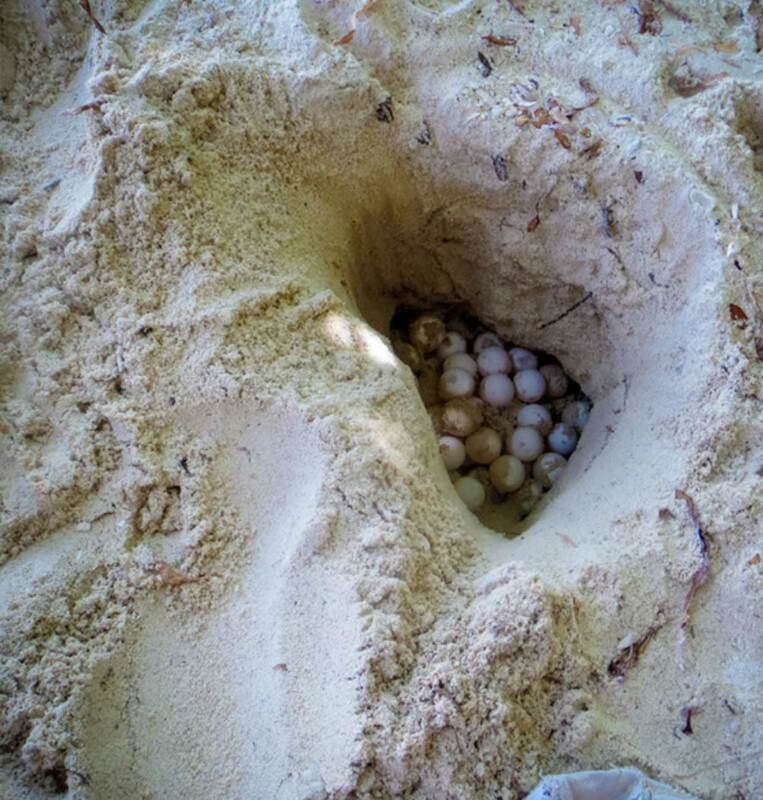 We dug another hole in a protected area of the beach, and we carefully placed each egg safely into the ground. One of the things we’re coming to appreciate about the challenges to conservation work is how long it can take to see an impact. 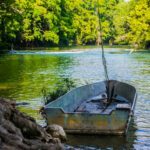 If one generation of a fish species gets over-fished, for example, that might not become apparent for years, until those fish aren’t around to spawn, and a missing generation emerges. The problem gets exponentially worse when the generation they would have hatched also isn’t around to spawn, but by that point meaningful action is already delayed. The amazing thing about the turtle nest monitoring, however, is how directly we were able to make an impact….and how clearly important it was. 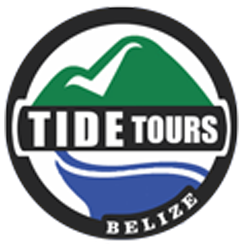 Belize is a relatively turtle-friendly country. The fact that these nests face so many challenges here is not a good sign for the future survival of the species. To truly do the work required to protect the turtle nests would require more time, resources, and focus on the issue than this diverse, action-filled eight-week expedition allows us. It also will take patience and strength to accept the inherently frustrating work of protecting a species that faces so many threats. But the experience of moving those 181 eggs from a place where they had no hope to one where they do is a powerful example of conservation in action. It’s the reason any of us are here.